"Beyond by Airbnb" will offer custom designed trips of a lifetime, including the world's finest homes, custom experiences and world-class hospitality. 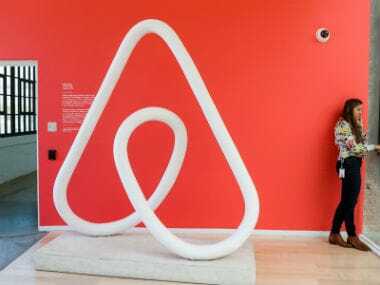 Community-driven online hospitality platform Airbnb on 22 February announced to foray into new tiers aimed at high-end customers that include properties like vacation homes and luxury spots. Called "Airbnb Plus" and "Beyond by Airbnb," the new tiers will recognise hosts who go above and beyond to provide outstanding hospitality. Starting with 2,000 homes in 13 cities, "Airbnb Plus" is intended for guests looking for beautiful homes, exceptional hosts and added peace of mind. "Ten years ago we never dreamed of what Airbnb could become. We want to go further by supporting and expanding our community so that in 10 years time, more than 1 billion people per year will experience the benefits of magical travel on Airbnb," Brian Chesky, Airbnb Co-Founder, CEO and Head of Community, said in a statement on 23 February. Starting from this spring, "Beyond by Airbnb" will offer custom designed trips of a lifetime, including the world's finest homes, custom experiences and world-class hospitality. Airbnb today is one of the world's largest accommodation platforms with 4.5 million places to stay in 81,000 cities. In addition to the existing "Entire Home", "Private Room" and "Shared Space" facilities, Airbnb now offers four new property types - "Vacation Home", "Unique", "B&B" and "Boutiques". "This will give greater choice of accommodation options to guests, provide greater transparency over the types of accommodation available, and help hosts better showcase what's unique about them to better match with guests' preferences," the company said. "Superguest" will launch initially to 10,000 guests as a trial this summer, before being rolled out to Airbnb's wider guest community before the end of the year.